Each year, we hold an Invitation Design Contest and invite our customers to submit their favorite designs. We’re always amazed by the beautiful work of DIY brides and professional designers! Take a look at the 2016 top three Professional winners, and find out what Cards and Pockets products were used to create their invitation masterpieces. 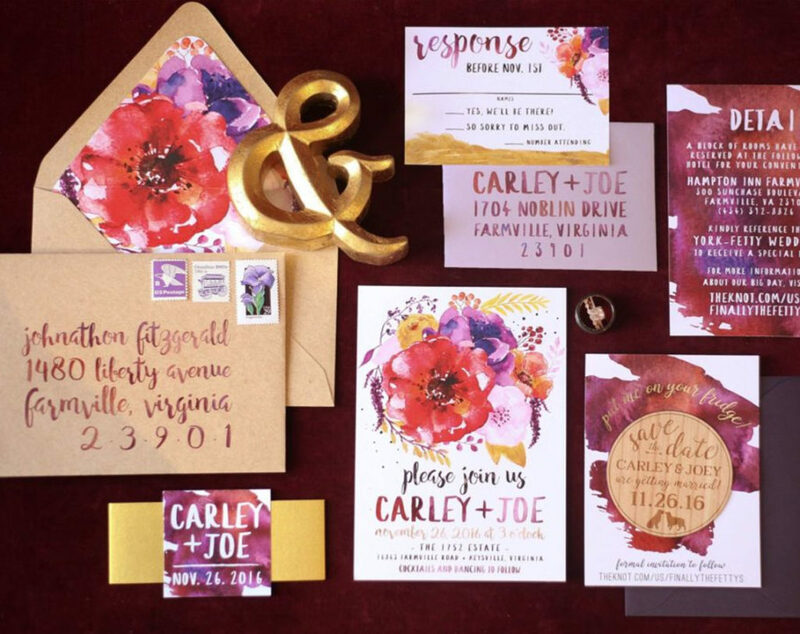 Jenna’s colorful watercolor invitation suite combines modern typefaces, bright florals, and a fun purple and pink color palette with pops of gold. The whole thing is tied together with a custom monogram and gold bellyband to make a beautiful, complete suite. 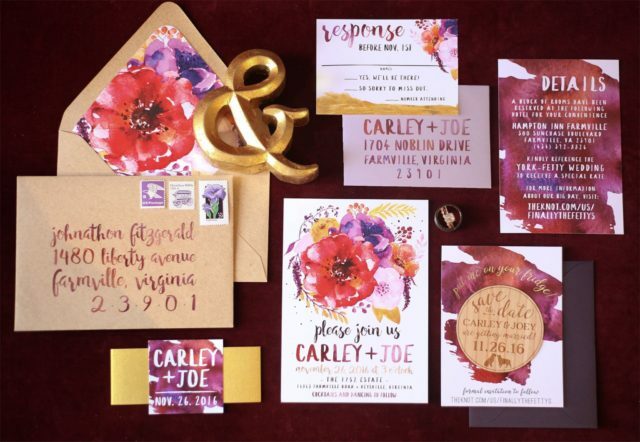 We’re in love with Rachel’s charming letterpress invitation suite! 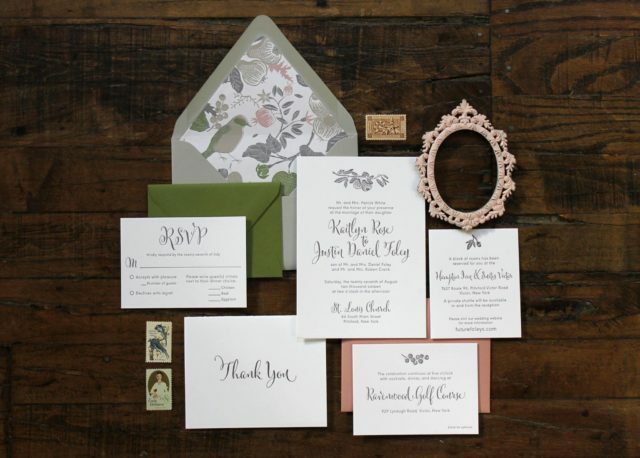 The crisp white invitation and inserts with soft gray design, the earthy green and dusty rose color palette, and that whimsical, nature-inspired envelope liner all work together nicely in this pretty suite. 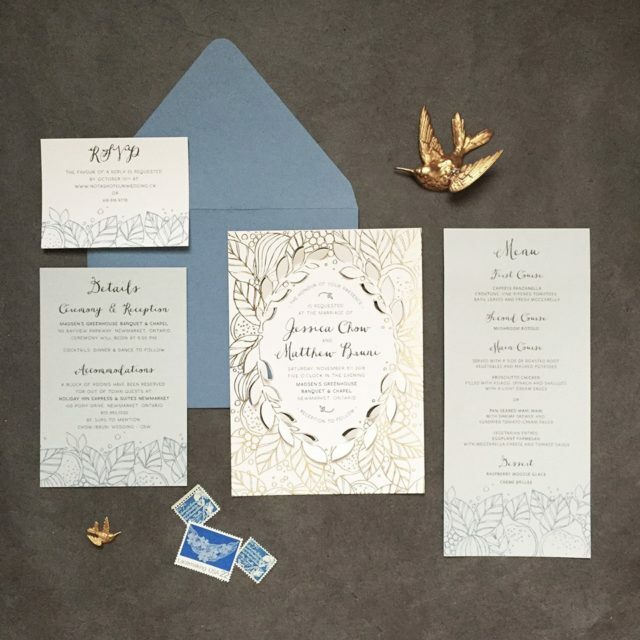 Crystal created an elegant wedding invitation suite with beautiful botanic illustrations, gold foil and die cut details, and a blue accent. We were drawn to the delicate details and repeating pattern throughout this pretty suite.